I hope everyone has been enjoying the liberal use of fireworks over the last few days. Now please put them away and pick up your dice. It has been a busy couple of weeks, and it is only going to get busier with Origins just wrapped up and Gen Con Indy rapidly approaching. 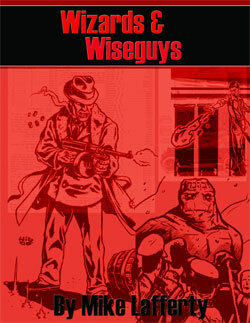 This week we have a review of Ptolus: Monte Cook's City by the Spire, Dark Champions: The Animated Series and The Complete Guide to Liches. Also, P.J. Reed has contributed a PDF file of 3"x5" Vestige Reference Cards for easily keeping track of the Vestiges used by Tome of Magic's new base class, the binder. 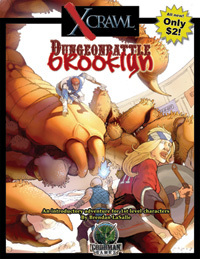 The next month will also be a bitter sweet time for gamers every where as the last two issues of Dragon and Dungeon magazines hit the stands. No tips this week. Have a tip? Submit it! 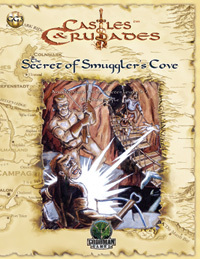 Monte Cook's phenomenal(ly huge) Ptolus Campaign Setting. Nothing like a little Undeath to get the bodies flying. 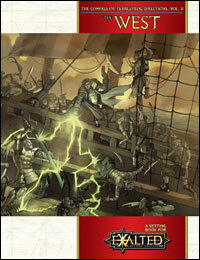 Paizo Publishing announced a new subscription service for their GameMastery Modules line the last week of June. "We've always tried to listen to our readers and to give them what they want," says Jason Bulmahn, GameMastery Brand Manager. 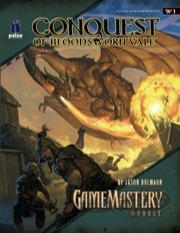 "When we announced the GameMastery Modules line, a subscription was the first and most frequent thing they asked for." 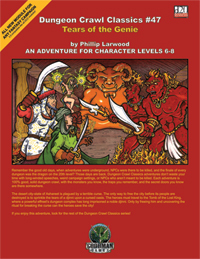 GameMastery Modules are 32-page, color, OGL-compatible adventures for use with the world's most popular fantasy roleplaying game. 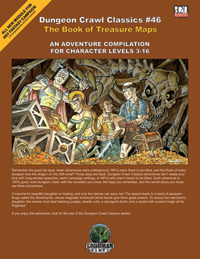 All GameMastery Modules include four pre-made characters, so players can jump right into the action, and color maps and handouts to enhance play. 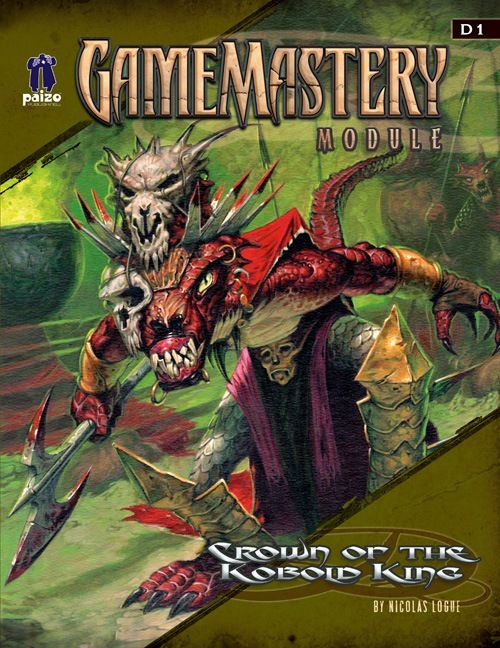 Released monthly, GameMastery Modules kick-off at the end of June with D1: Crown of the Kobold King. 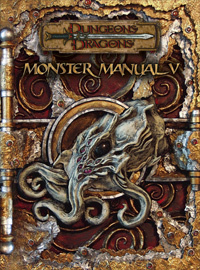 Written by fan-favorite author Nicolas Logue, this GameMastery Module pits the players against an evil kobold king and his minions. 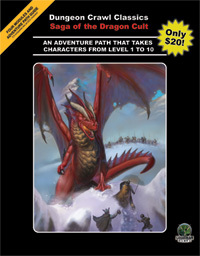 The prequel to Crown of the Kobold King, D0: Hallow's Last Hope, was given away free at this year's Free RPG Day on June 23. 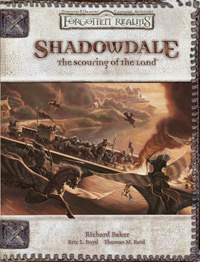 Look for a review of D1: Crown of the Kobold King in an upcoming Saving Throw column. A little later than I wanted, but sometimes that happens. Not much going on, Origins just finished, and I'm going to be going on vacation next week, so the next column might be delayed as well. I want to also mention that if you submitted anything to Saving Throw between April and June of this year to please resubmit it. Thanks.